My colleague Matisse pointed out an article to me yesterday about the artist Rafael Rozendaal, who creates websites as artworks. Interestingly, his sales contracts for his works oblige the buyer to keep the website online and continuously accessible to the public. So of course, as an archivist, this got and me thinking about issues of technological obsolescence and accessibility. The same kind of challenge exists for video that activists are creating. At some point in the future, most of the formats that are popular today will become obsolete (i.e. hardware and software of the day will not play or otherwise support their use). This is especially true of formats that are proprietary, meaning formats that are privately owned and whose encoding is secret or requires a license to use, and formats that are not widely adopted. 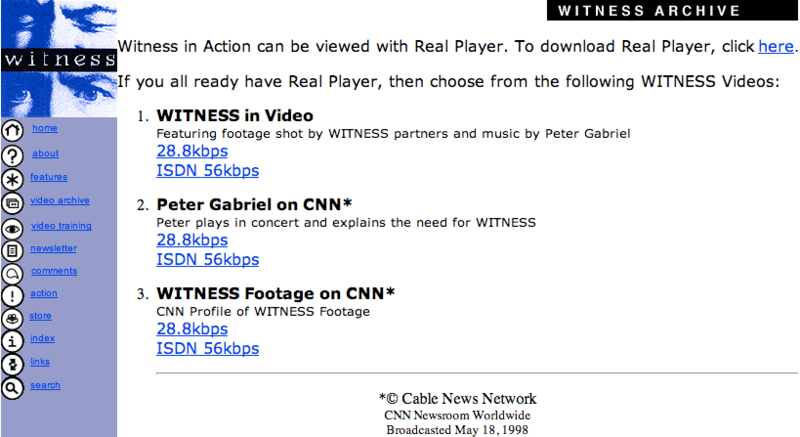 An example of a format that is largely obsolete today is RealVideo, which was once popular for video streaming in the 1990s (and that WITNESS used on its previous websites). 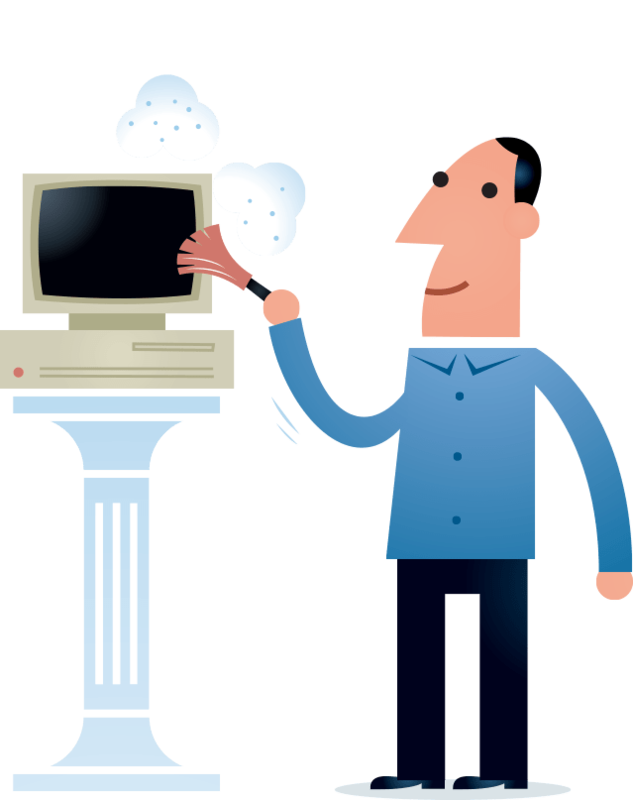 When the time comes, it will be necessary to migrate today’s videos that we want to keep usable and accessible to new formats* or to construct platforms in which the old formats can still be played (the latter approach is called “emulation”). We just have to hope that adequate conversion tools are available when we need them — this availability will be influenced by how open and transparent the format is, and whether patents and protection technologies are involved. Use formats that are open standards, or fully documented, or at least widely adopted. Keep an eye on your older videos and notice when they start losing support from the platforms and software you use. Maintain older machines and versions of software that support the formats in your collection so you can play or convert them later. Make high-quality copies of your videos in more open formats now. 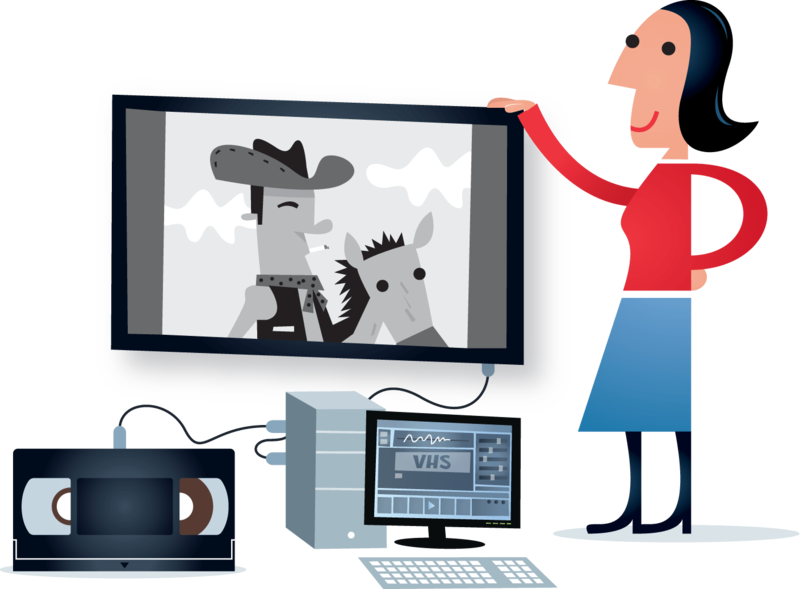 Check out the Preserve section of our Activists’ Guide to Archiving Video to learn more about the long-term considerations for your digital video collections. * While videos may need to be migrated to new formats for access, we advise activists also always preserve their original videos in their original format, especially if the videos have value as evidence.